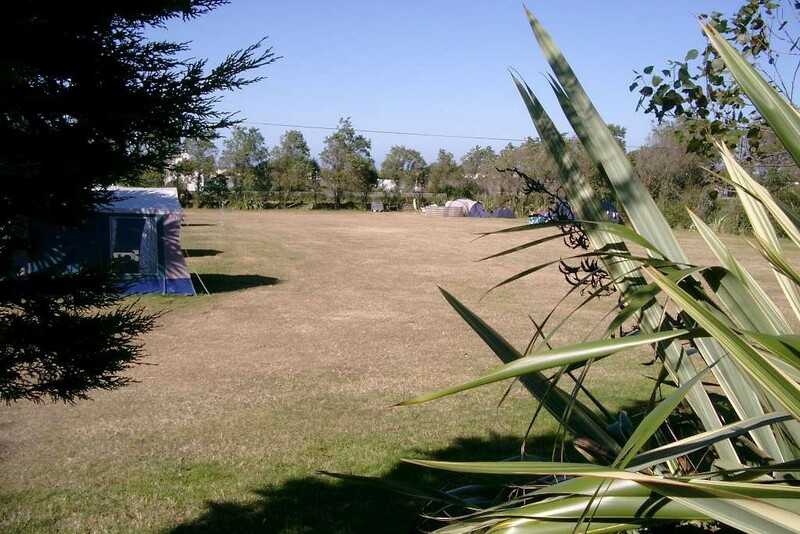 Our large and spacious fields, without the restriction of defined pitches, mean that there are no additional charges for pitching large tents. A number of the main fields in the lower part of the site are also serviced with electricity. 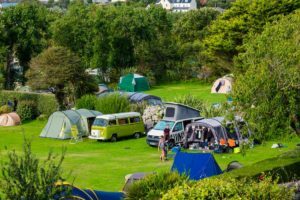 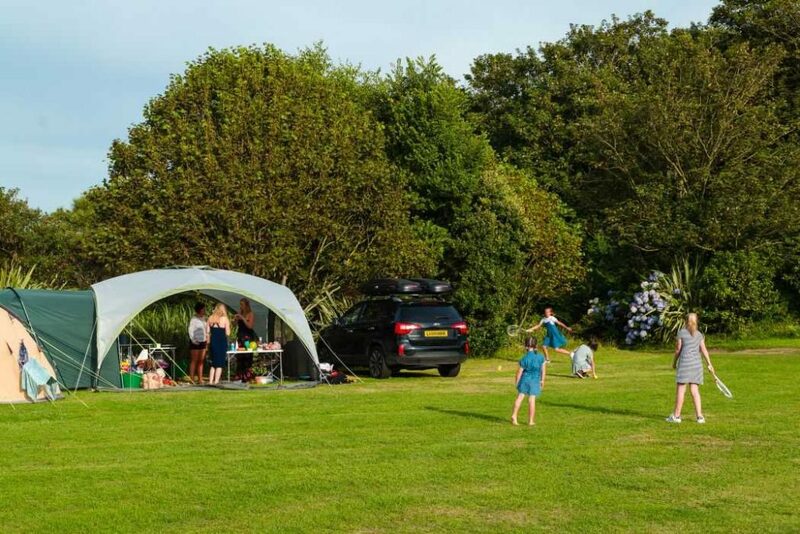 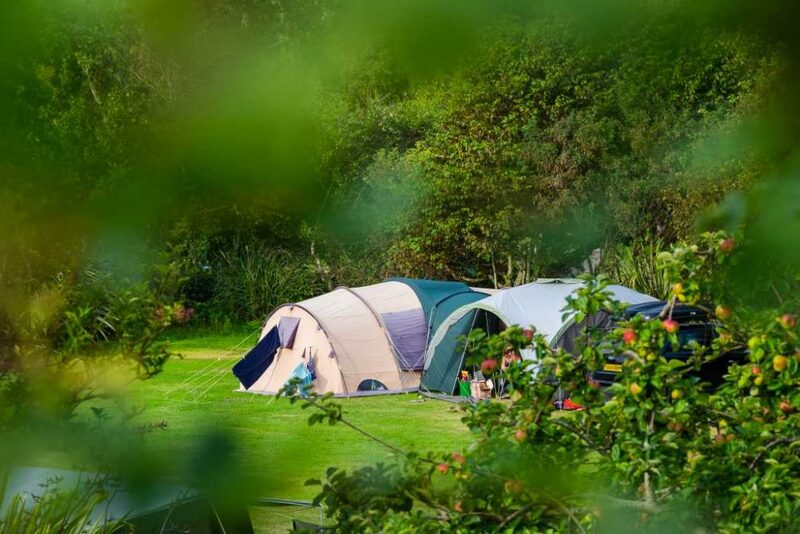 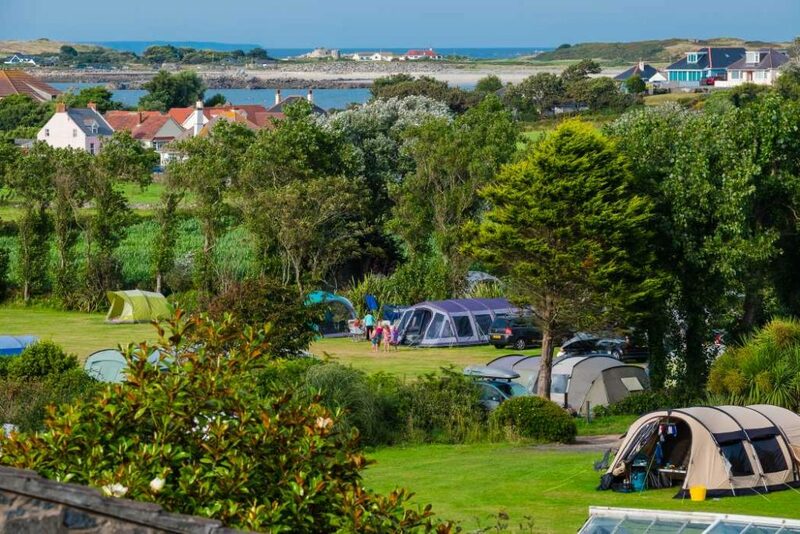 The fields situated at the top of the campsite do not have electric points but are designated for adults only and offer sea views over and to the north of the island. 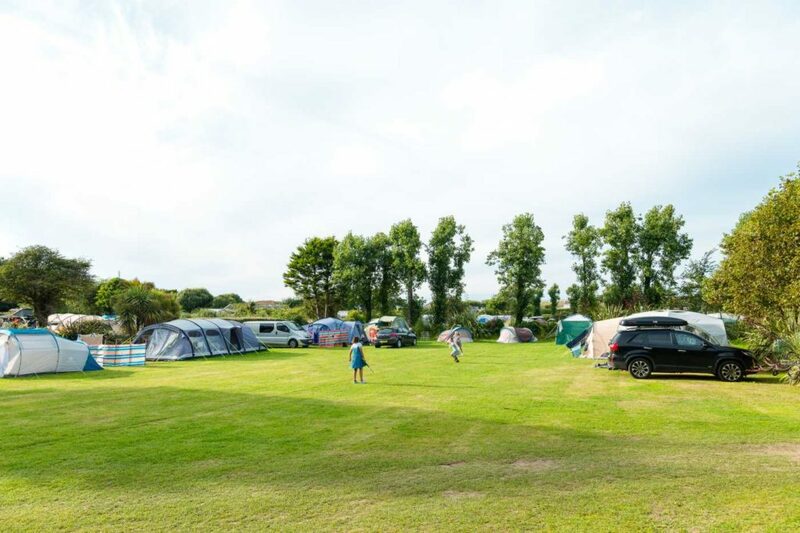 The site provides good vehicular access to our motorhome / campervan pitches which are located in the campsite’s main fields. 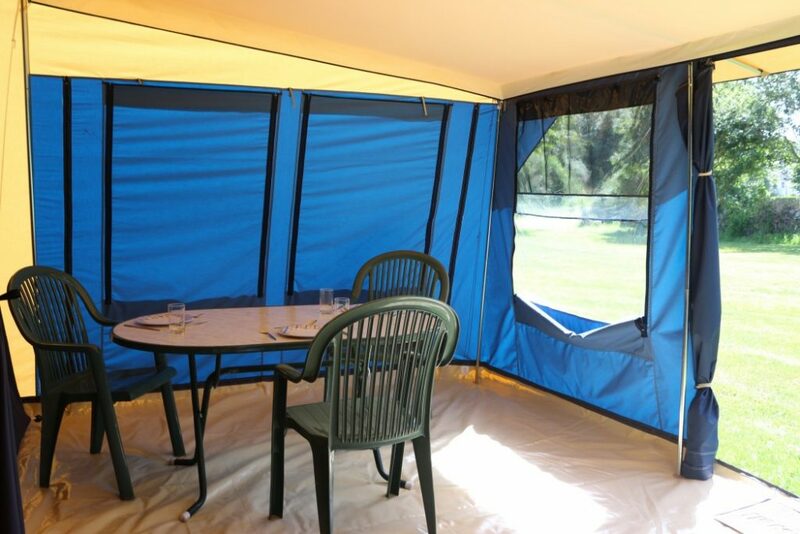 Awnings are allowed at no extra charge. 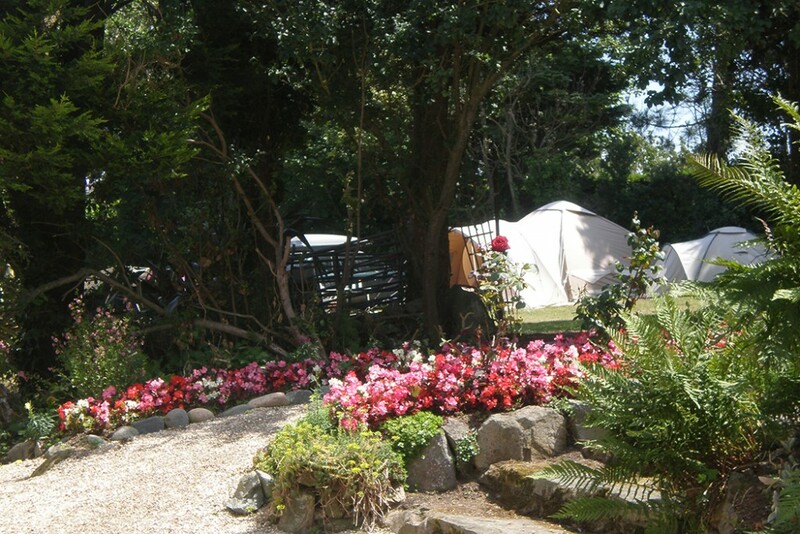 The campsite is perfectly placed for those guests who wish to use public transport, with nearby bus stops offering frequent and good connections across the island. 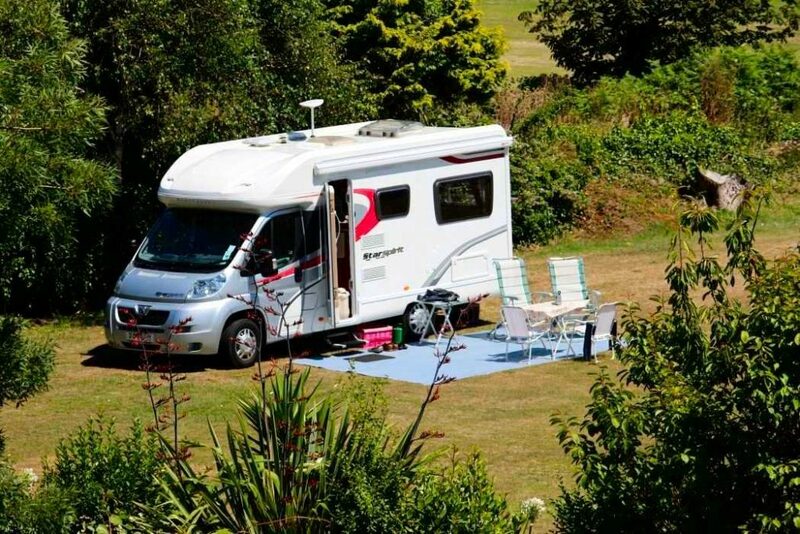 A permit is required to bring a campervan / motorhome onto the Island and this is issued free of charge by Le Vaugrat Campsite once the reservation is confirmed. 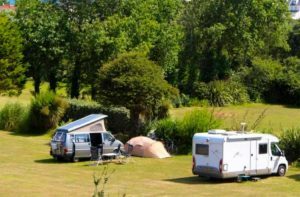 The length of the vehicles must not exceed 9.45 metres and the width must not exceed 2.31 metres (excluding mirrors and indicators). A single stay cannot exceed one month. 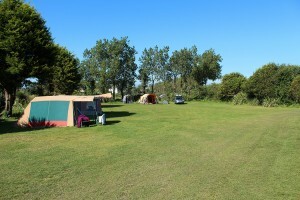 A permit is required which is issued free of charge by Le Vaugrat Campsite once the reservation is confirmed. The combined length of the towing vehicle and caravan must not more than 12.19 metres long and the width must not exceed 2.31 metres (excluding mirrors/indicators). 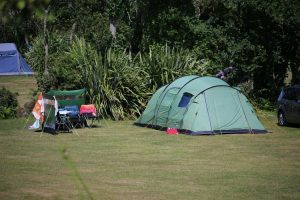 A single stay cannot exceed one month. 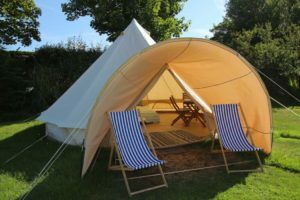 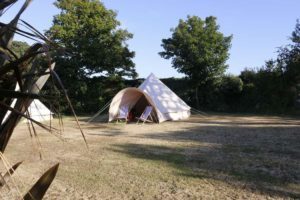 Our glamping offering comprises two types of fully equipped tents which are available for hire during June, July and August. 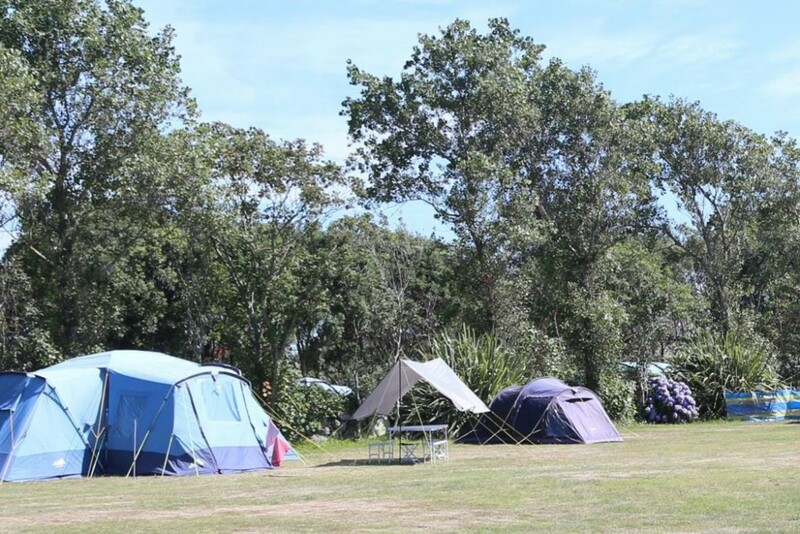 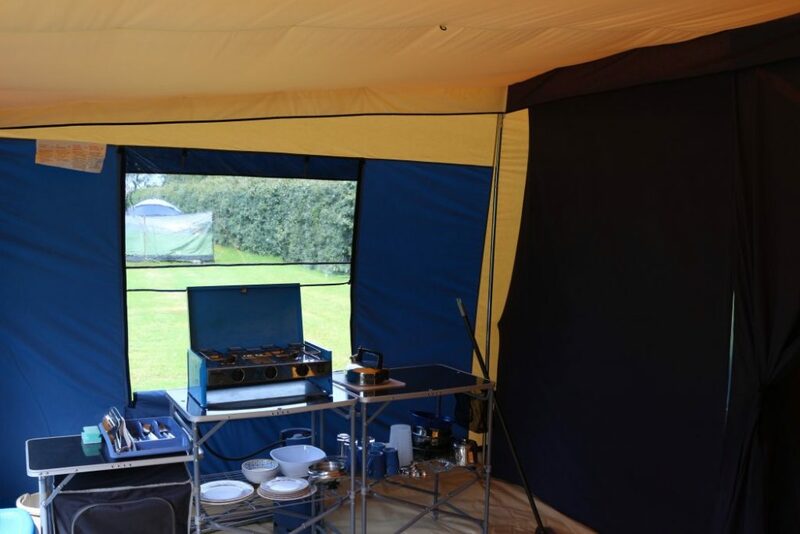 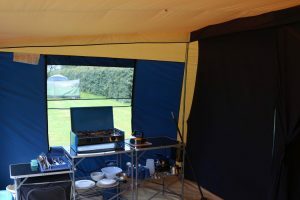 Each tent is ready for occupation including beds and bedding along with table and chairs, gas cooking facilities, cooking utensils, crockery and cutlery. 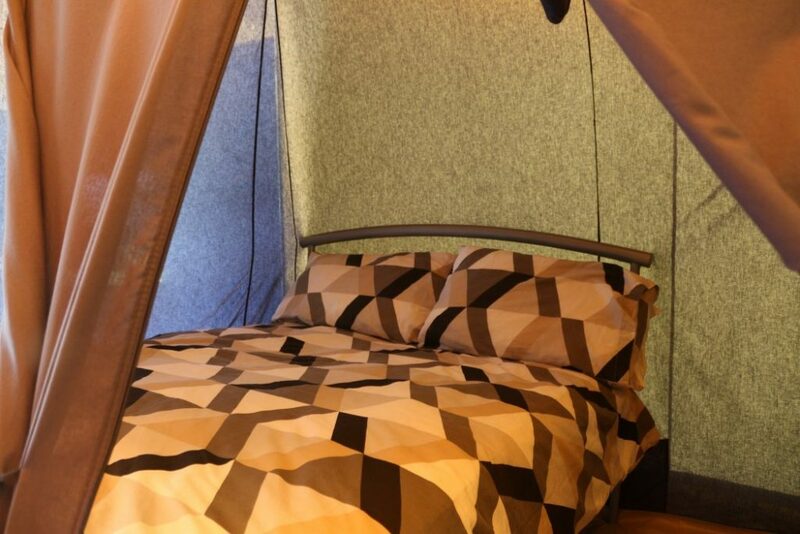 Lighting is provided by LED lamp. All you have to do is bring your own towels. 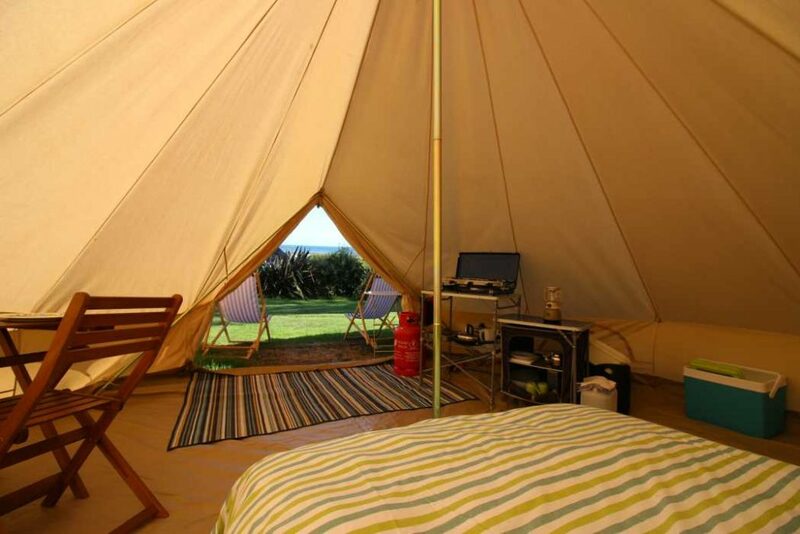 Please note that electricity is not available for any of our fully equipped glamping tents. 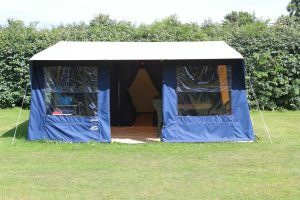 These six berth tents are sited on our lower main site and are ideally suited to families. 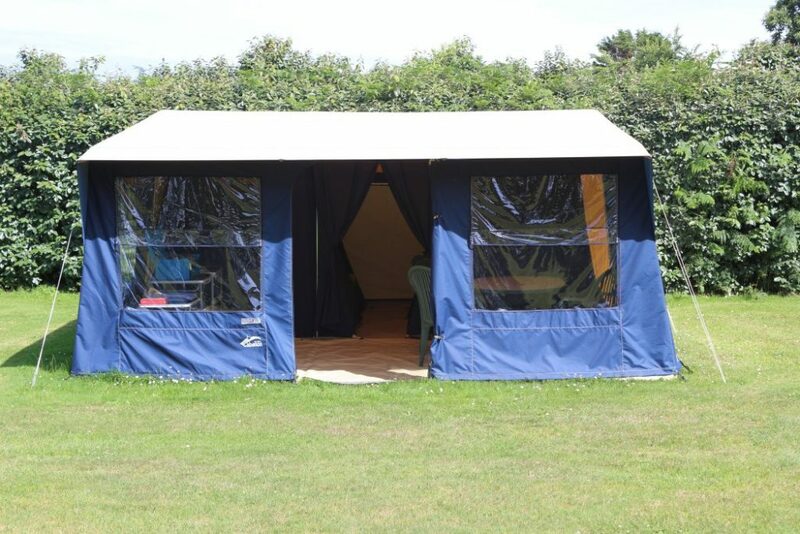 They offer unprecedented space in this category of tent with the accommodation comprising a living area, large double bedroom and two further bedrooms separated by a corridor. 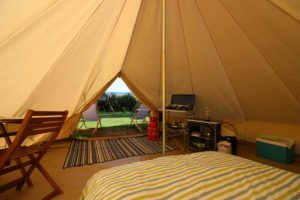 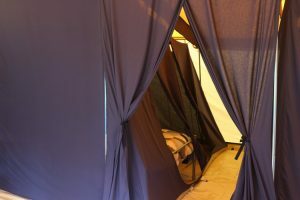 The tents are normally configured for up to four guests and are equipped with one double and two single beds. However, where children or infants are included in the reservation, they can accommodate a fifth guest on a full mattress. Camp cots are available at no extra charge. 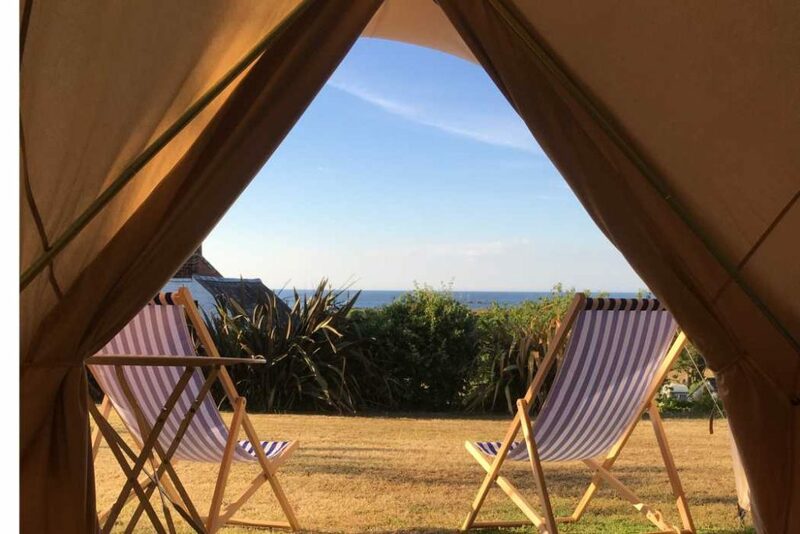 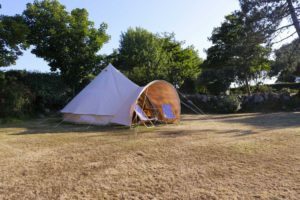 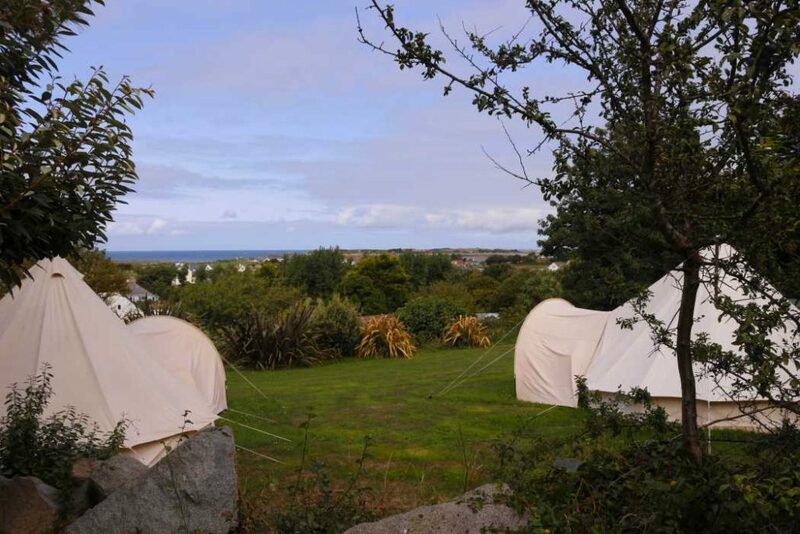 Introduced in 2018 and ushering in a new era of boutique camping, these tents situated in the adults only area of the campsite offer fantastic sea views to the north of the island. 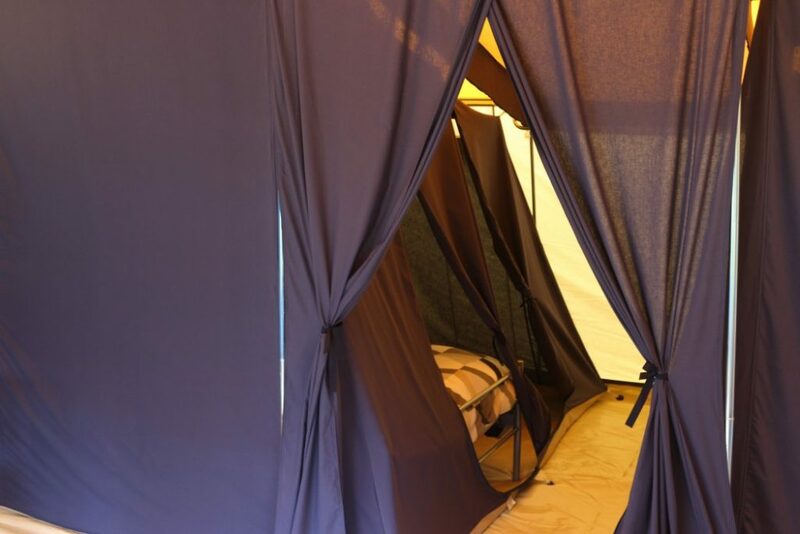 These tents are ideal for couples but can be configured to accommodate up to three adults in one double and one single bed and are ideally suited for those long weekend breaks.